Drug maker Merck announced Tuesday that it will cut 8,500 more jobs worldwide. These new cuts are in addition to a previously announced reduction of 7,500 jobs. The total job cuts work out to an elimination of about 20% of the drug company's worldwide workforce of 81,000 employees. None of the job cuts have happened yet, said Merck spokeswoman Kelley Dougherty. She also said the job cuts are unrelated to Obamacare, the health care plan championed by President Obama but opposed by Republicans in Congress. "The actions we're announcing today are not driven by any present immediate issue," said Chief Executive Officer Kenneth Frazier, in a webcast with analysts and journalists. 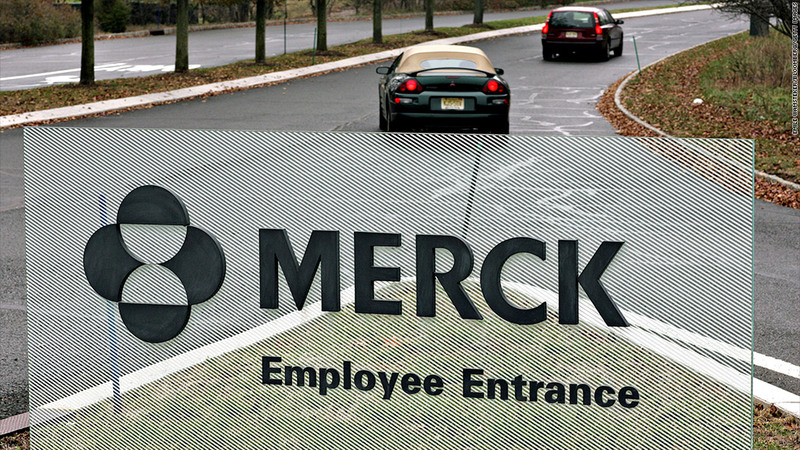 Merck (MRK) said the restructuring will result in a pre-tax costs of between $2.5 billion and $3 billion. But the company also said it hopes the cuts will help it save about $2.5 billion annually by 2015. Frazier, who was the company's lead counsel during its problems with the painkiller Vioxx, said that job cuts will be concentrated on selling, general and administrative expenses, as well as some research and development. But he insisted that the company will continue to focus on R&D. "Our company is still committed to innovative R&D and bringing forward transformative products that make a difference in human health," he said. He said that Merck's "streamlining" is "not about stopping any activity. It's about being more efficient." A company press release said that Merck will focus on vaccines and treatments for cancer and diabetes in "prioritized markets, which account for the majority of revenue in the pharmaceutical and vaccines business." It identified these markets as the U.S. as well as Canada, the United Kingdom, Germany, France, Japan, China, Korea, Brazil and Russia. Shares of Merck, a member of the Dow Jones industrial average, were up 3%. Drug companies are under constant pressure to discover promising new drugs to stock up their pipelines with potential blockbusters. The patent on one of Merck's more lucrative drugs, the asthma treatment Singulair, expired last year, eroding sales as the product is exposed to generic competition. The company, based in Whitehouse Station, N.J., also announced on Tuesday that its headquarters will be moved to its existing facilities in nearby Kenilworth, which is closer to New York City.